Dr. Andrew Dixon, a native of Huntington, West Virginia, is the Principal Doctor and Owner of Dixon Center for Integrative Health Care since 1989. His commitment to family care over the past thirty years has enabled him to deliver the most comprehensive patient specific treatment to his patients and help their overall functional capability. Originally from West Virginia, he attended Marshall University where he was involved in numerous sports until sidelined by injury. Personally experiencing the benefits of chiropractic care, he obtained his doctorate of chiropractic from Life Chiropractic College in 1986. In 1989 he opened Dixon Center of Chiropractic, now known as Dixon Center for Integrative Health Care. He wasted no time volunteering his time with TCA and was elected Director of District 5 in 1995. 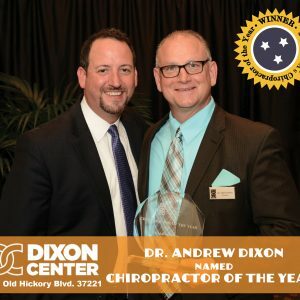 Dr. Dixon was also recognized by his peers as Young Chiropractor of the Year in1997 before serving as Treasurer, Vice President, and finally President in 2014. Among the leadership positions in his profession, he has contributed greatly to his community, as a member of the Bellevue Lions Club, Vice President of the Bellevue Chamber of Commerce and volunteers on the Outpatient Diagnostic Center Chiropractic Advisory Board. 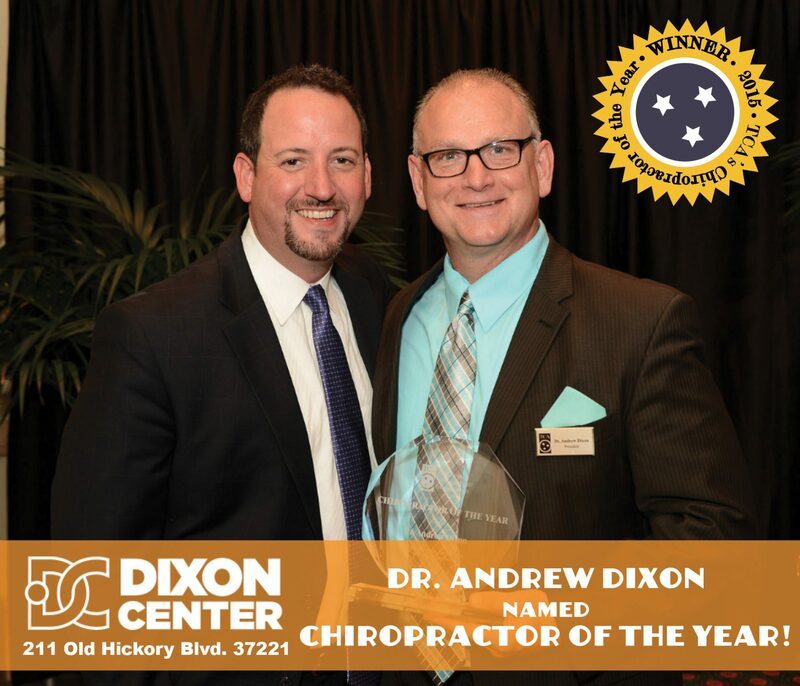 Well-regarded for his laid back personality, when it comes to chiropractic Dr. Dixon is all business. In over 20 years, he has never lost his passion for the profession that he loves nor the drive to stand up and fight for the rights of chiropractic physicians and the patients they serve. The human body has an astonishing natural ability to heal. It is our mission to awaken and nourish this ability through proper alignment, whole-body health, and guidance in nutrition and exercise. Unlike standard Westernized medicine, we treat the body as one complete system, instead of each system individually. We do this by meeting our patients where they are in life and working with them in a trusting and relaxing environment to help them achieve their health, nutrition, and fitness goals. We also provide medical services in-house by partnering with our sister company Harpeth Valley Health Care (HarpethValleyHealthCare.com). We treat a myriad of ailments from women's, men's, and children's medical to allergies, chronic disease, DOT physicals, dermatology, urgent care, and more. HVHC also offers a Wellness Practitioner. Using an integrative approach, a Wellness Practitioner uses personal coaching practices paired with holistic and specialty skills to help patients embrace health on a whole-body level. This includes working towards the balance of mind-body wellness and aiding people in achieving optimum health and disease prevention to enhance quality of living.